One thing that I value a lot when it comes to my high sensitivity is my ability to suddenly swoon over the smallest of things, even when I’m having a rough time. Like the sounds of melting snow, dripping from the branches. Or the complete stillness of the sea while the sun is warming my pale cheeks. 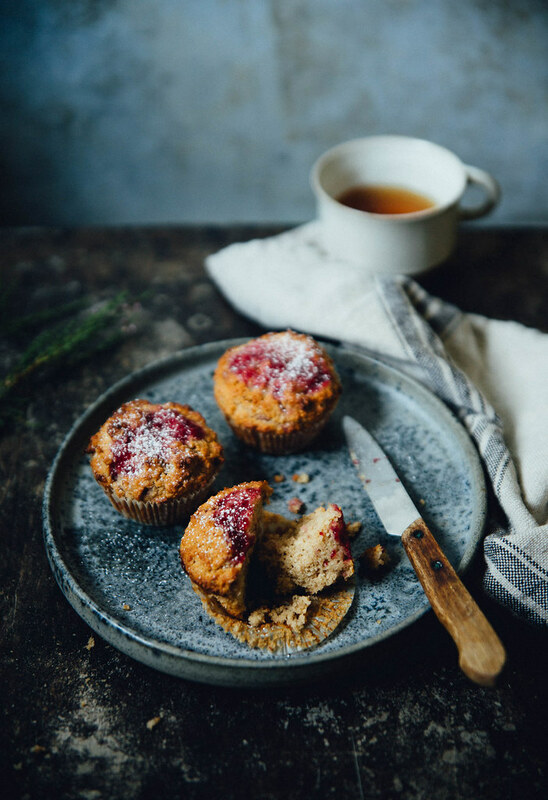 Like finalizing this recipe for gluten free muffins already by 9am in the morning, and hence enjoying a warm and perfectly moist vs. crumbly parsnip & lingonberry muffin with my mid morning coffee. Like nailing the perfect amount of cardamom to cake batter, or discovering the sunbathed, secret dock and sit there to write without even the slightest sounds. No boats, no cars, no people. Not even in the distance. The feeling of having found a sacred and forgotten corner of the world, far away from the daily buzz of the city life. Like literally watching the ice melt out over the bay, while it’s happening. That yesterday was colored with worry and frustration is forgotten in a matter of seconds, when I discover the magic of today. That is why I love & cherish my sensitivity. 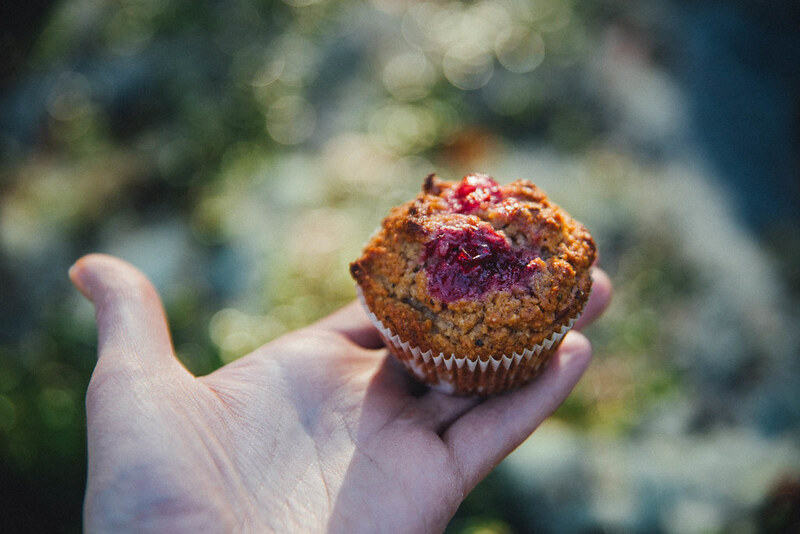 So when I write this, on a perfectly ordinary Friday, I savor my sweet, warm and comforting muffin slowly while sipping freshly brewed coffee and not particularly bothered by the uneasy caffeine rush. It doesn’t matter much that I was sad yesterday, stressed out the day before and probably will feel anxious tomorrow. It’s all a roller coaster of big emotions, but s long as I can feel it all without shame or restrictions, I’m fine with it. I’ve baked these gluten free muffins for a number of people. Family, colleagues and Hannah of course. They’ve all unanimously loved them. And no wonder! The parsnip lends a wonderful sweetness and moist to the core, lingonberries provide tartness and bright color. The almond flour makes for a nutty and crumbly crust. The freshly ground cardamom reminiscent of a since long forgotten Saturday ritual of bakery and market visits. The completeness of it all – pure comfort and soul healing. I do love a good muffin with coffee. 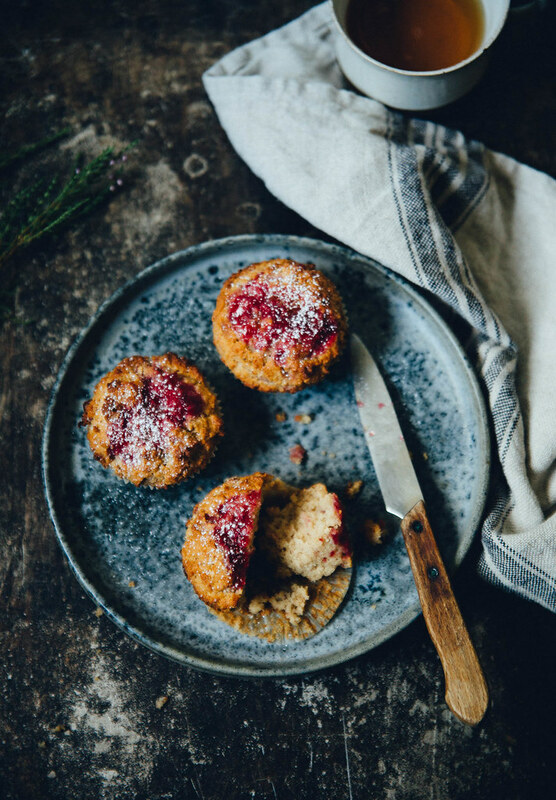 This recipe is adapted from the all in all amazing muffins Karoline at Gröna Skafferiet made for us last spring when I visited her. All the kudos to her for coming up with the brilliant combination of parsnip & lingonberries! Here I’ve made a gluten free version with eggs. Notes: 1) If you don’t have lingonberry jam at hand, you can sub it with some other slightly tart jam, like raspberry or cranberry, 2) I highly recommend buying cardamom seeds to ground yourself with a mortar and pestle. It makes all the different for the flavor! I buy the kernels, and not the green pods. Peel and grate the parsnip on the fine side of the grater. Set aside. In a separate bowl, beat the eggs, sugar and salt until fluffy. Fold in the lingonberry jam, the grated parsnip and the melted coconut oil. Don’t stir it more than you need to. Distribute the batter between 12 muffin forms. Make a little hole in each one and fill with 1 tsp lingonberry jam. Press it down slightly. Bake the muffins in the middle of the oven for about 18-24 minutes. My oven isn’t the most powerful one, so my muffins take longer than they normally do. Please keep in mind that the baking time may vary. Keep a close lookout after around 15 minutes, and remove from oven when the muffins are generously browned and crispy on top. 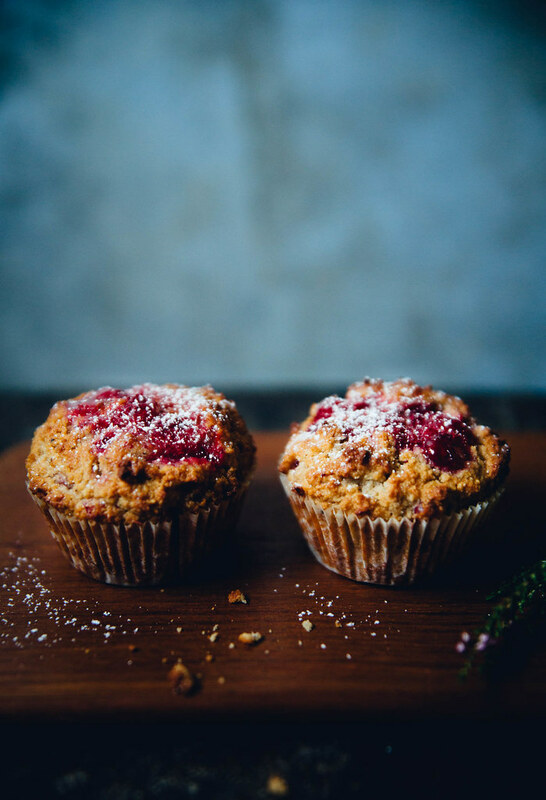 *If you are baking your muffins in their paper form only, you can probably reduce the baking time to 10-15 min. The muffins should be generously browned and crispy on the top and brown on the bottom when they’re done. Let cool slightly before removing from the muffin tray. Serve with hot drinks of choice. Enjoy!